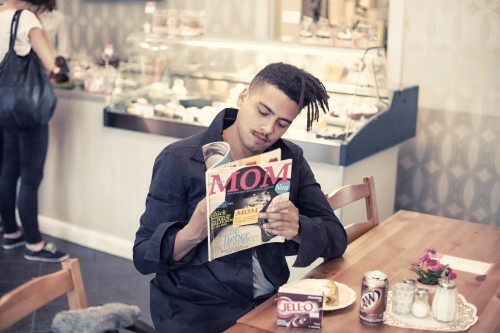 Seth Troxler is hitting our shores and we have 2 sets of double tickets to give away to the Cape Town show. To enter simply send an email to freeshit@electrotrash.co.za and let us know the name and release date of Seth Troxler’s first release. Competition closes 14th December 23:59. One entry per person, winners will be chosen at random. Good luck! Famed for throwing some of the best parties around the world, Resident Advisor (RA) is excited to announce that it will be coming to South Africa as part of its global event series: RA Horizons. Last year RA celebrated 10 years with its X series, staging ten events in the most essential venues in many of the world’s biggest electronic music hubs (London, Berlin, New York, Tokyo, etc.). RA Horizons has a different objective. This time RA takes a journey down the road less traveled to stage a series of parties that focus on the dedicated scenes that exist outside the established global club circuit. Places with devout crowds, savvy promoters and great venues, but where you can’t just stumble out the front door and see one of your favourite DJs every weekend. So far they’ve brought Levon Vincent to China and Japan, Martyn to the Pacific Northwest, Julio Bashmore to Scotland and Dyed Soundorom to Norway and shone the spotlight on a host of hugely talented local artists. For their two events in South Africa, they’ve tapped RA’s #1 DJ in the world and probably the biggest personality in house music today: Seth Troxler. Seth has just been voted the #1 DJ in the world for 2012 on Resident Advisor’s Top DJ poll by RA readers. Voted by registered members of the site, the list puts a global spin on something otherwise personal: your favourite DJ(s). Seth reaches nr. 1 this year, after finishing second in 2011. It’s always hard to know where to start with Troxler: the Michigan-born 20-something has become an icon of club culture in the past few years, thanks to his label and DJ outfit (Visionquest) and his countless gigs around the world, which include regular spots as a festival headliner or performances at premiere clubs like fabric and DC-10 – the latter at which he enjoyed a residency in the 2012 Ibiza season. His inimitable charisma behind the decks only adds to his performance mastery. Our first event in South Africa will happen on Saturday, December 15th in Johannesburg, a city whose long relationship with raves in the ’90s laid the groundwork for what has become one of the most important and fertile (if under-appreciated) house music hubs in the world. RA is teaming up with local promoters The Warm Up for a sunset session on the rooftop of the Citilec Building. Troxler will be joined by local export and Innervisions signing Culoe De Song, Warm Up founder Jack Gorton (AKA PhatJack), Jullian Gomes, Digital Rocket and Marshall. The next night, Horizons will make its way to Cape Town for a party at The Assembly, a raw space that spent the first part of its life as a manufacturing plant and is now home to one of Cape Town’s best nightclubs. The main room will be soundtracked by Troxler, local techno torchbearers Killer Robot, Flloyd Lavine and Thibo Tazz. Sunday party crew Cold Turkey will take care of the Annex, a 200-person cavern tucked away in the west wing of the venue and have invited their A-list of Rebel Clef, Blotchy, Terrence Pearce, Big Space, Pierre Estienne, Richard the Third & Jakobsnake to soundtrack the night. Tickets for both shows will go on sale at 9am South African time on Wednesday November 14th from www.ResidentAdvisor.net .